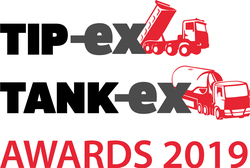 The Tip-ex Tank-ex awards recognise the individuals, teams and businesses shaping the tipper and tanker industries. On Friday 1 June representatives from the tipper, tanker and bulk haulage industry came together as the 2018 winners were revealed. Congratulations to our 2018 winners and finalists, and many thanks to all those who attended.